Welcome to the Hotbox Events staff and volunteer community! We hope you enjoy watching our festival staff and volunteer interviews, having a browse of our photo galleries, chatting in our festival forums, connecting and sharing on our social channels, and please don't forget to keep up to date by joining our newsletter! Making sure that every volunteer and member of staff who joins us has the best possible experience is of upmost importance to everyone involved with Hotbox Events. If you've not volunteered or worked as part of a staff team at a festival before and you're wondering what it's like; have a watch of some of our festival staff and volunteer interviews! 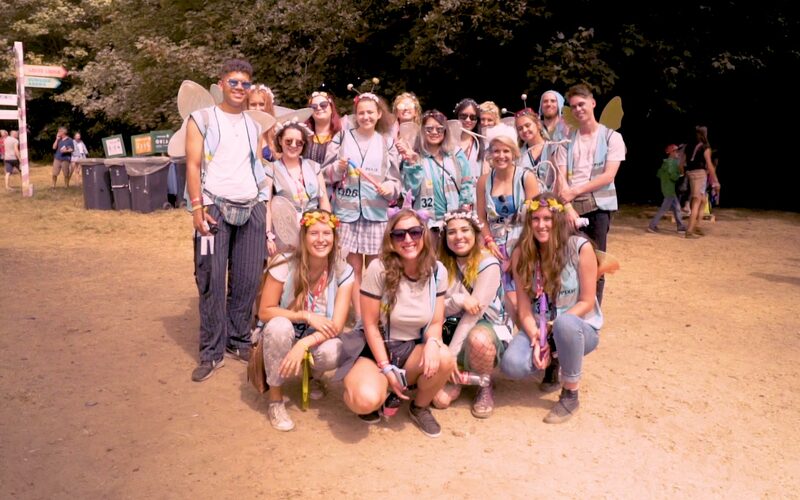 You’ll get to hear from volunteers who have joined us at festivals such as Download, Latitude, Reading and Leeds, talking about how they found their shifts, how they were treated by the Hotbox team, what it was like volunteering for the first time on their own, taking on more responsibility year on year and progressing from a volunteer to staff role, and even how the experience and confidence gained has helped with their career progression away from festivals! The Hotbox Events staff and volunteer forums are a great place to chat with people you'll be working with at the festivals, ask questions of those who have worked with us before, arrange lift sharing to festivals and more! 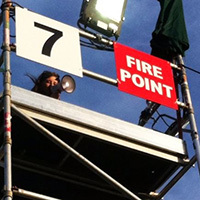 Hotbox Events began it's life recruiting and managing volunteers for the 2003 Leeds Festival, since then our volunteers have managed to escape to the Reading Festival in 2006, then Latitude Festival in 2008, and V Festival in 2016! With so little control there really is no telling what you may find in the galleries! You can connect with Hotbox events on twitter, facebook, instagram and linkedin. Our social channels are always packed with information about volunteering at festivals, and busy with Hotbox Events staff and volunteers sharing photos, arranging to meet and share lifts, asking questions and chatting about the festivals and events we work with. If you haven't already please subscribe to the Hotbox Events newsletter so we can let you know when our festival volunteer applications open each year, when you can login to Hotbox Events PAAM and choose your shift preferences, when to expect your festival info packs and keep you updated with last minute changes as we get closer to the festivals. We promise not to overwhelm your inbox - we generally send out just one newsletter per month. I really enjoyed being a CAT at the 2013 Leeds festival! I met so many funny, crazy and amazing people, volunteers and festival goers! The shifts were really evenly spread so I was still able to enjoy the festival with my friends and see the bands! It was a great way to experience the festival from another view and I will definitely be doing it again! Read more feedback from our past festival volunteers, find out what they did at the festivals and what they thought about volunteering with Hotbox Events!